Is social media a support tool or a menace when it comes to creating business sustainability value? Over the last few years two relatively new business philosophies have become the trendy buzzwords in the corporate space – social media and sustainability. The rise of social media has provoked a complex cultural and communications shift in the way people share information and participate in conversations, resulting in the empowerment of the individual to demand change as well as to expect responsibility and social consciousness from brands to strike the triple bottom line balance. This new social economy is based on engagement, relationships and mutual trust where relevance to the individual is a main currency for meaningful communications. Thus, innovation has become crucial for companies to reach, educate and inspire this new consumer about sustainability. 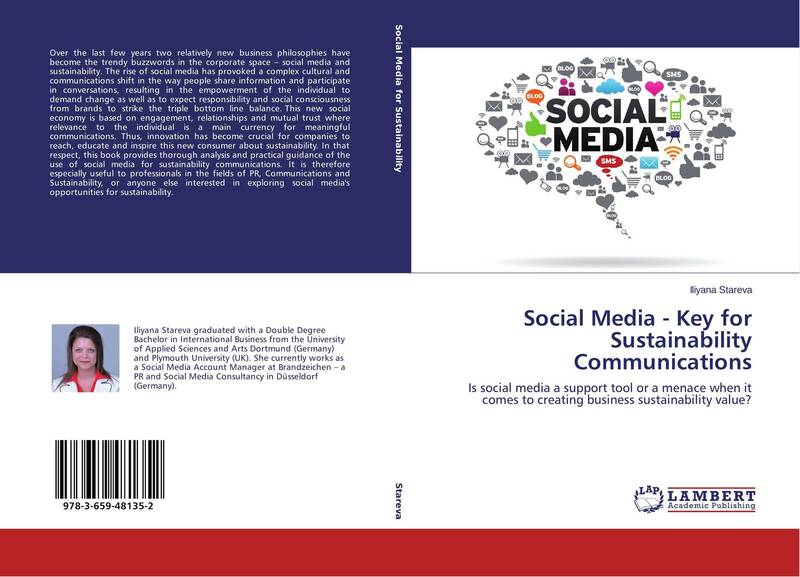 In that respect, this book provides thorough analysis and practical guidance of the use of social media for sustainability communications. It is therefore especially useful to professionals in the fields of PR, Communications and Sustainability, or anyone else interested in exploring social media's opportunities for sustainability.